Create, Manage and Distribute Leads Efficiently. Monitor Sales and Performance. For a 14-Day Free Trial, click here! 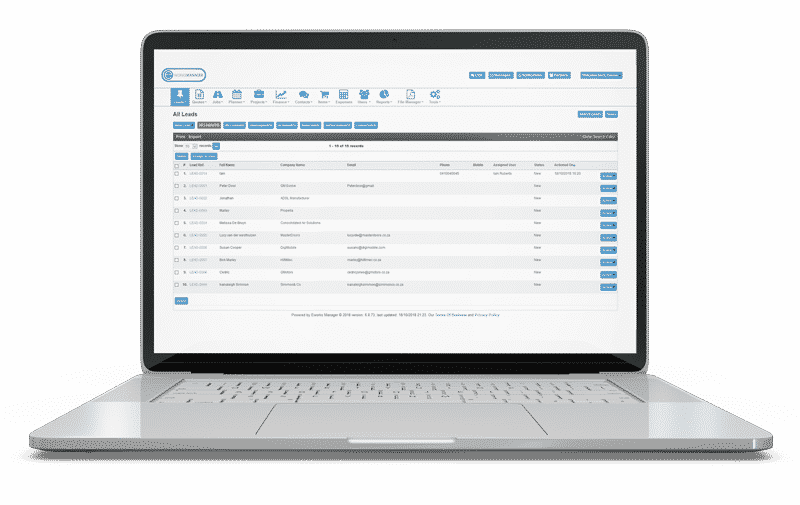 A Full Featured Lead Management System Designed to Manage and Streamline Your Entire Business from Start to End. You can import potential customers, manage existing inquiries and market to all your contacts. The access rights per user on the system will allow you to select a specific person/s to authorise leads. This will be handy in the case where you have a manager or supervisor who will need to make sure the lead or opportunity entries are actual companies. With the ability to add in additional fields in the lead details section you can use the search filter available to search for specific leads and either print or export these for reporting purposes. If you have a batch of leads, instead of adding each one manually, Eworks lets you import them all at once, saving you time. Convert a lead into a quote to build inhouse and print or mail it off to your customer. Schedule a sales appointment for your field worker to do an onsite inspection before creating a quote to send to your customer. Convert a lead into a new customer or if the lead relates to a current customer the system will notify you with a conflict message which minimises duplicate customer entry into the system. 1What is a Lead Management System? A system to capture and manage details and information for a potential customer or opportunity. Managing Leads has never been easier with and all in one Lead Management System. Being able to import, manage, convert and create tasks against leads makes for a more productive and efficient way to manage potential customers and opportunities.